 Through the Lens Photography, based in Herefordshire, is proud to offer Newborn, Cake Smash and Children’s Photography. Children grow so fast, blink and they are leaving home and starting their own families. A snapshot of a moment in time captured forever can be the most precious possession in the world. Let us capture those precious milestone moments that will last a lifetime and allow you to look back with fondness. Please see below for our packages and contact us if you have any questions. All images on this website are copyright of © Through the Lens Photography and Events Herefordshire. Images may not be copied, duplicated, modified, redistributed in whole or in part without prior permission.